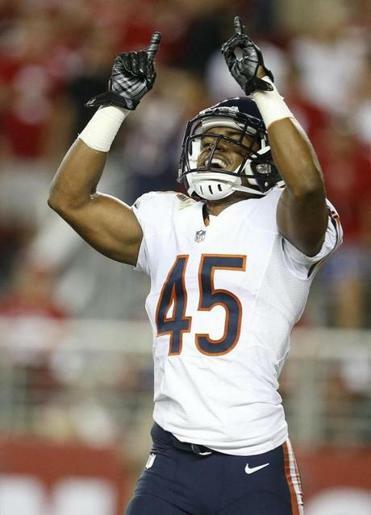 Bears safety Brock Vereen has plans to meet up with brother Shane on Sunday. FOXBOROUGH — Bears rookie safety Brock Vereen could think of one word when asked how he would feel if an opportunity to hit his older brother, Shane, doesn’t present itself when Chicago plays the Patriots Sunday. “If the opportunity didn’t come, I would be pretty disappointed,” Brock said. Shane Vereen, the Patriots’ top running back now that Stevan Ridley is out for the season with a knee injury, is curious to see what it will be like to get tackled by Brock, if for no other reason than it’s never happened before. It should happen at Gillette Stadium, although Shane Vereen’s status for the game was listed as questionable after he missed Friday’s practice with an illness. Assuming he’s a go, it’ll be the first installment of Vereen vs. Vereen. Globe Patriots reporter Shalise Manza Young looks at the key matchups within Sunday’s game in Foxborough. Having brothers reach the NFL is nothing new; according to the Pro Football Hall of Fame’s website, there were 364 documented sets of brothers to play in the league through the 2013 season. It’s also not unique to the current Patriots. Tight end Rob Gronkowski, safety Devin McCourty, and defensive end Chandler Jones all have had brothers in the NFL while they’ve been with the Patriots. The difference between those sets of players and the Vereens, though, is that the Gronkowskis, McCourtys, and Joneses all play on the same side of the ball, and thus wouldn’t be on the field at the same time. Come Sunday, whenever the Patriots have the ball, Brock Vereen likely will be out there with the Bears defense (he played a season-high 66 defensive snaps, out of 70, in last Sunday’s game). And should Shane handle the ball — he had 16 touches last week — Brock will be part of the group looking to bring him down. Brotherly love? Oh, it runs deep with the Vereens. They’ll just set those feelings aside for three hours and play in an NFL game unlike any they’ve played in before. Can Shane treat this like any other game? Growing up in California, the Vereens dreamed of playing in the NFL together, even though they spent part of only one season as teammates (when Shane was a high school senior, and Brock a freshman). So they competed against each other, the way brothers tend to do: backyard basketball, football in the living room, and video games. Their Madden duels can get notoriously heated; Brock estimated that 11 Xbox controllers have been broken over the years. They’ll hit the field with the same purpose: help their team win a game. They’ll do it in front of a sellout crowd at Gillette Stadium that will include upward of 15 friends and family members, including their nervous parents, who flew in Wednesday. As for the thought of Brock tackling Shane with a hard hit? 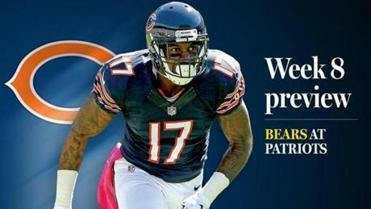 “I’m OK with it, as long as they both get up and go to their respective huddles,” Henry said. “Football is football. You can’t go in half-stepping, or you open yourself up to trouble. I want them to play like it’s anyone else. Shane, 25, has been keeping tabs this season on baby brother Brock, 22, who was a fourth-round pick of the Bears after playing at the University of Minnesota. Last Sunday was nice because, with the Patriots having already played their game, Shane could watch Brock play on TV. This Sunday, Shane will watch Brock play again. This time he’ll have a much closer view.